The reduced alcohol percentage of 3,3% and reduced sugar combination offers 25% less kilojoules “without compromising on taste”. There are three flavours: Party-On Passion Fruit, Awesome Apple or Wild Blackcurrant. The label of the new Hooch LITE was designed by Creative Performance and the plastic covers of the six packs were manufactured by Blakey Plastics Manufacturers. 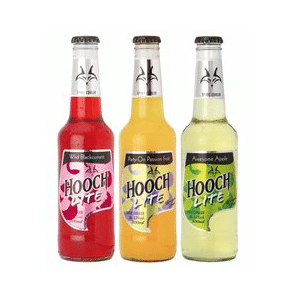 Hooch Lite will retail for approximately R9.95 per unit or R49.95 for a six pack.